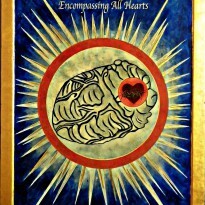 Dedicated to disseminating the devotion to the Divine Heart of God the Father Encompassing All Hearts. A Voice Calling God's People is a call from the barren wilderness, a cry from the heart, to God's own people, to return to Him who loved them, who was their first love and who is infinite love. This book was written in the Upper Room during the vigil of Pentecost, 2013. Deification is the transformation of man into god through the grace of God. Predominant in the theology of Eastern Christianity, but marginalized and obscured in contemporary interpretations of the theology of Western Christianity, Bartolo-Abela explores how it is deification, not just salvation, that was and remains the intent of God for mankind, with deification occurring not solely in patria, but in via and in patria. This is an understanding of deification which has been largely lost and needs to be recovered in the Western Church. Examining the works of the Church Fathers on both sides of the East-West divide in Christianity, Bartolo-Abela shows that rather than being restricted to the East, deification featured consistently in many theological works popular in the West, with the most prominent being those of Aquinas, Augustine, Hilary of Poitiers, Irenaeus and Jerome. Bartolo-Abela argues that it was deification, not just salvation as commonly understood, that was also inherently referred to by Paul VI in the universal call to holiness found in Lumen Gentium, the Dogmatic Constitution on the Church. Deification is the process of man becoming god and attaining theoria, seeing God, after purification of the heart and illumination of the heart of the soul have ensued through baptism in the Holy Spirit, as understood throughout tradition. Deification from this life, not solely the next, is the desire of God for mankind in accord with the words of Christ and Peter, “I said you are gods” (Jn 10:34) and “partakers of the divine nature” (2 P 1:4). “Before sharing my thoughts on the book I want to mention that I am not going to state my belief or lack of belief in the narratives described in this book. Each person who reads the book can decide for him or herself whether or not he or she believe the words contained therein. It is not my place to judge either way and I will leave my comments to the actual content of the book. “Having said that, The Divine Family is a short (84 pages), beautifully written book that describes the Archangels Michael and Rafael, the Blessed Virgin and Jesus. It also describes Satan and vividly points out that hell is very real and that it only takes one moral sin for us to go there. 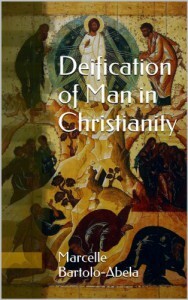 The author even directly questions non-believers who may be reading the book and one of the questions she asks is, “Do you really want to wait until you are dead to find out whether all this [hell] is true?” More importantly, though, the book, through the experiences of the author, reminds us how deeply we are loved and cherished by the Holy Trinity and the Blessed Virgin Mary. “In sharing her experiences, the author relates her experience of the power of the Sacrament of Confession and her experience of the illumination of conscious (something spoken about by many mystics). 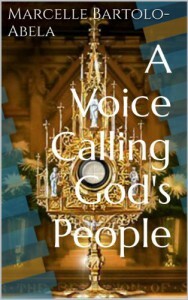 She also relates several experiences of communication with the Virgin Mary, Jesus, God the Father and the Holy Spirit. As I read these experiences, I could almost tangibly feel God’s love. 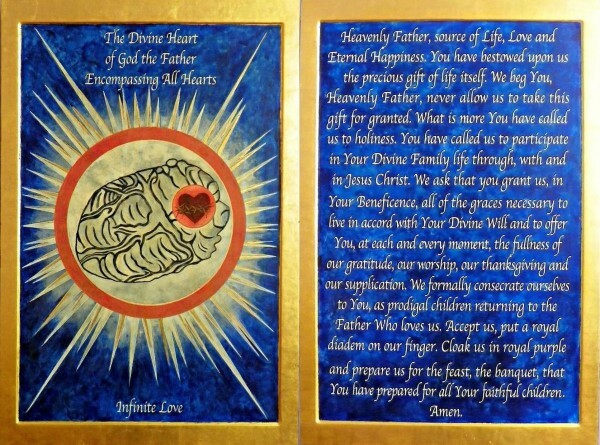 The diptych, revealed, ecumenical icon of the Divine Heart of God the Father Encompassing All Hearts, with the Consecration (Seal) Prayer to the Almighty Father. Website of the author of these books. 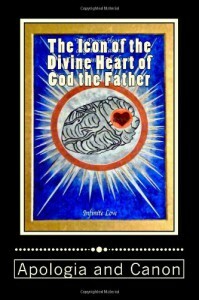 Official website of the Devotion to the Divine Heart of God the Father Encompassing All Hearts. "Marcelle Bartolo-Abela urges the world's people to take time every day to honor their creator. The text of "Thoughts for the Day: Reflections for the Soul" offers insight into Catholicism and what being a true Christian means in the author's view. While I do not share the author's faith, I found the book easy to read and follow. Many of the meditations or reflections work to inspire a closer examination of one's purpose in life and place in the universe, no matter what religion you are. Something I would like to see in future editions is an expansion upon each meditation. Maybe a page for the reader to write some thoughts and then upon turning the page, the author's explanation of that particular reflection in life. The book contains many beautiful quotes, allusions, and thoughts. I believe this is a Christian-niche book that could find a wider audience if the author wrote an introduction explaining the purpose of meditation across religious bounds." "In this book are many scripture based thoughts . I found comfort in being reminded of how much God loves me. I found inspiration to always try to improve on myself. And I found encouragement in the thoughts of our future in Heaven. Great book to pick up and read on a daily basis." 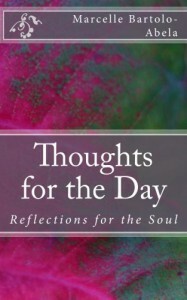 Preview video of the book Thoughts for the Day: Reflections for the Soul. ""Very well written and full of amazing experiences." "Well written and experiences are expressed in clear, easy descriptions." "Consumed it...could not put it down...must read it again and again."" "From the moment I read the opening commentary from Pope Urban VII on private revelations, I knew I was in for something special. Each of the author's personal accounts (peira) are beautifully conveyed in a style which will leave even the most pious reader feeling unworthy to eavesdrop on these intimate revelations. The pure reverence and humility in which these accounts are presented filled me with hope, and softened my natural scrutiny of the extraordinary. After reading the touching forward remarks and witnessing the author's devotion to The Feast of the Father of All Mankind, I knew there was clearly something special within these pages. I was surprised and delighted to have this peace of mind early on, as it allowed me to enjoy the gifts of this book without distraction. And what gifts they turned out to be! Each of the author's descriptions were compelling both spiritually and intellectually, leaving me to ponder their content well after I had finished reading. What struck me most was how timeless the tenets of our faith are. Faith, Hope and Love are as important and applicable now as they ever have been. Names, dates, locations and societies may change, but we remain sinners who need the redemptive love of God the Father. The dates when these revelations were experienced by the author is of no importance. Through reading these accounts, it becomes clear that the only measure of time one needs to be concerned with is eternity. 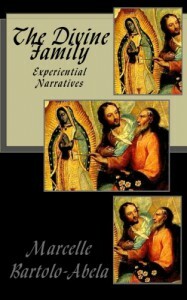 I recommend these experiential narratives to all of the faithful. You will be blessed by their message." "Tells us how much God loves us and keeps reaching out to us. Gives us prayers of protection for the not so far away tribulations." 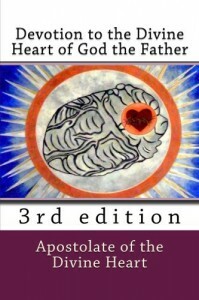 Preview video of the book Devotion to the Divine Heart of God the Father, 3rd edition. Preview video of the book The Icon of the Divine Heart of God the Father: Apologia and Canon. Preview video of the book The Divine Family: Experiential Narratives.